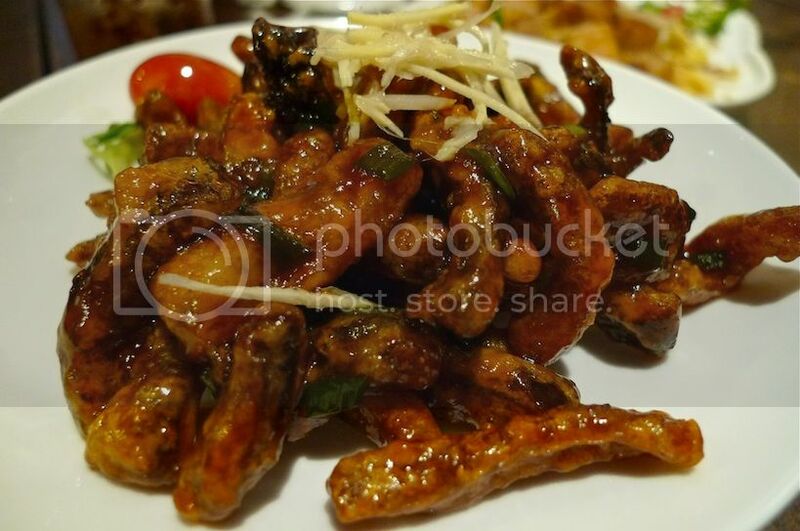 Last evening, my family and I went to Dragon-i Restaurant in 1Utama to take advantage of their RM1 Chicken promotion. Yes, for only RM1 you get this! Worth it or not? It's soya sauce chicken, and we were given the whole chicken although I don't think it's a very large one. But there are conditions to this promotion of course - there must be at least 3 people dining, and the dining period is between 6pm till 9pm daily. Also, it's for dine-in only, no take-away. However, there is no minimum purchase required, so you can just go there, order the RM1 chicken and maybe some rice to go with it! But I think better not be so cheapskate right? LOL! The chicken meat was rather tender and quite tasty, but I was not too pleased because it was cold and the meat was not fully cooked! If that's the way it was supposed to be done, then I am afraid I do not like this RM1 chicken! I still remember a similar promotion many years ago and that time, Dragon-i at the Centrepoint outlet in Bandar Utama offered pak chit gai. Not sure how to call it in English - Steamed chicken? Poached chicken? Blanched chicken? Anyway, that pak chit gai was amazingly delicious and tender! Of course we did not just order the RM1 chicken - that would not be enough for the six of us! 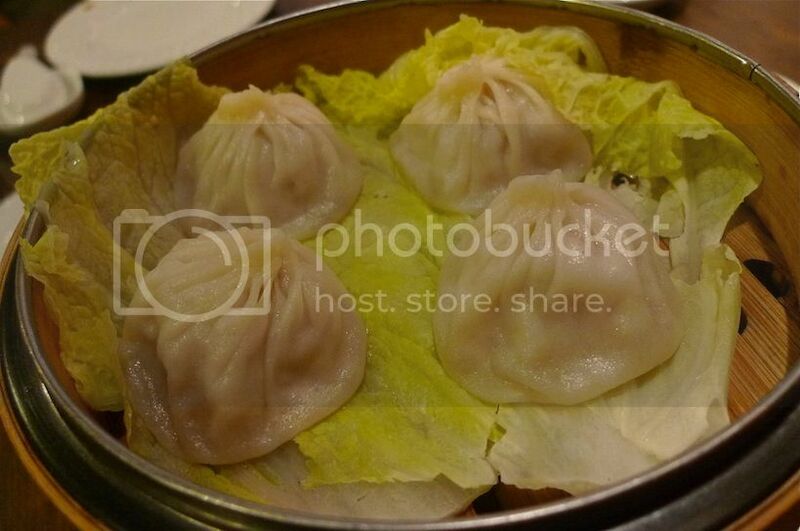 We ordered their famous xiao long bao (steamed soup dumplings). 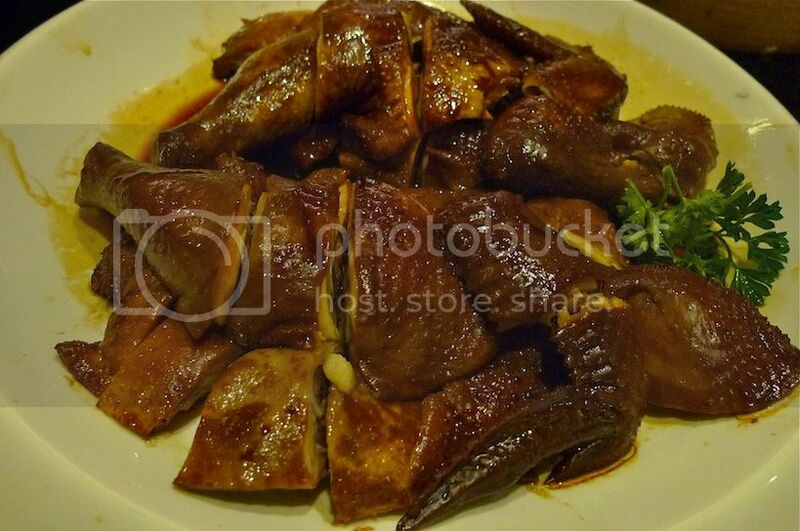 I never fail to eat this whenever I dine at Dragon-i. 1 bamboo basket containing 4 xiao long baos are priced at RM9.80. We ordered 2 baskets. Eating them with the black vinegar and shredded ginger is a must! They bring out the full flavour of the xiao long bao. These were the rest of the dishes we ordered. Some were shared amongst ourselves, others were individual dishes. 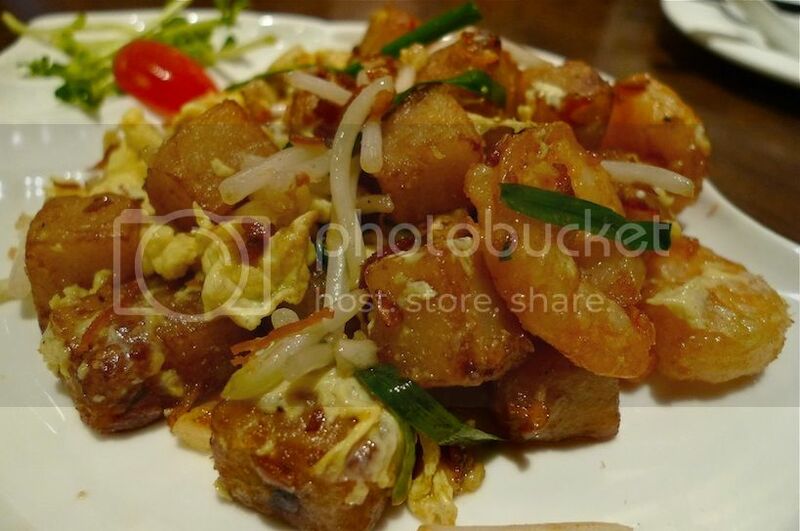 Fried radish cake and shrimps with XO sauce (RM9.80) - this was yummy! 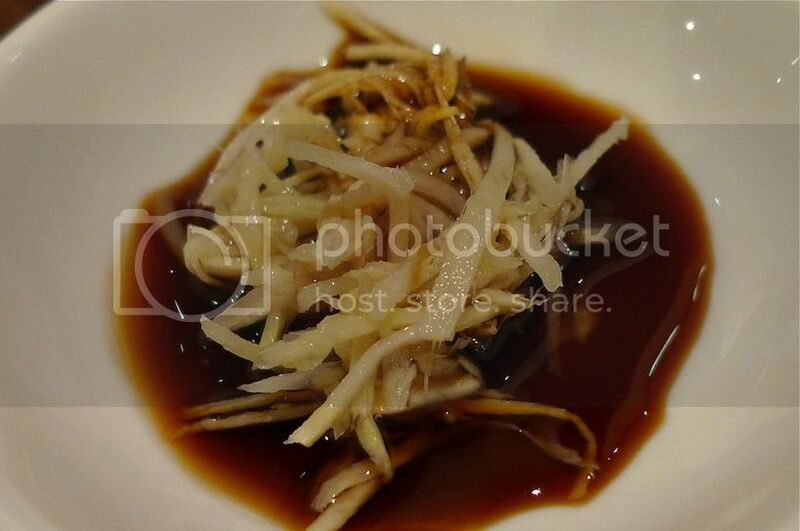 Honey-glazed crispy eel (RM18) - This was delightfully crunchy! 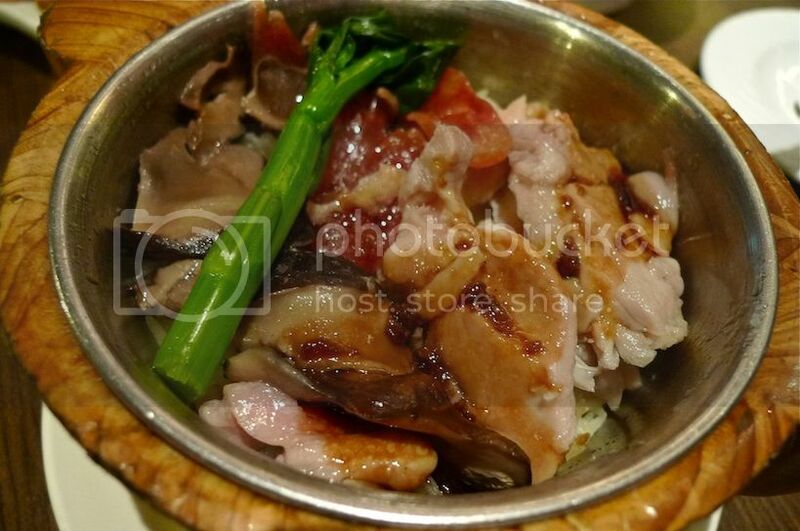 Steamed rice with chicken, mushrooms and chicken sausages (RM16) - If you do not know what to order at this restaurant, then this one won't go wrong! 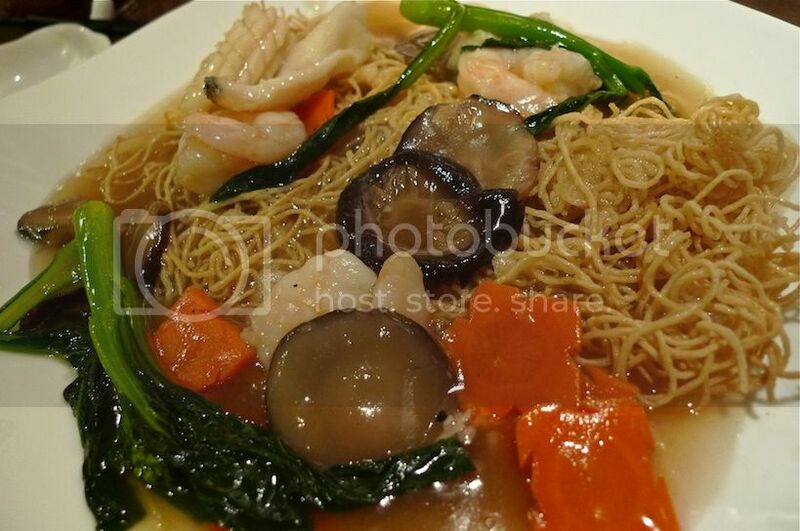 Pan-fried crispy noodles with assorted seafood (RM18) - the prawns were so fresh! 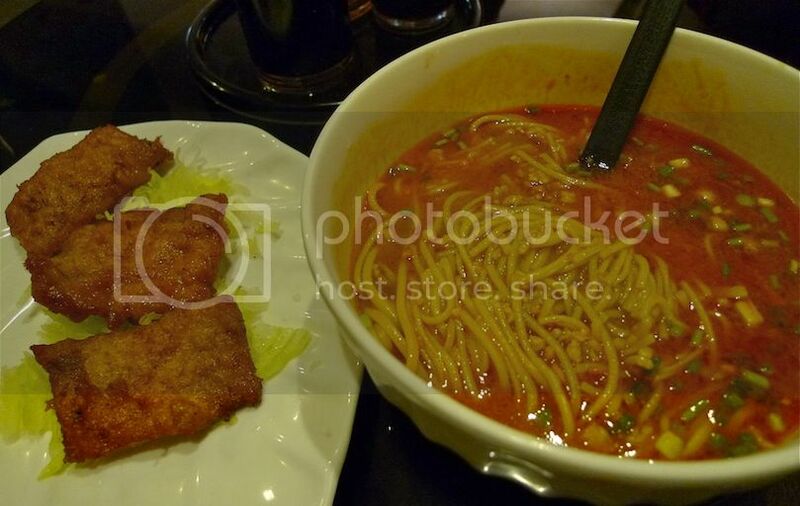 Szechuan La Mian with fried pork ribs (RM18) - for those who like sour and spicy at the same time. 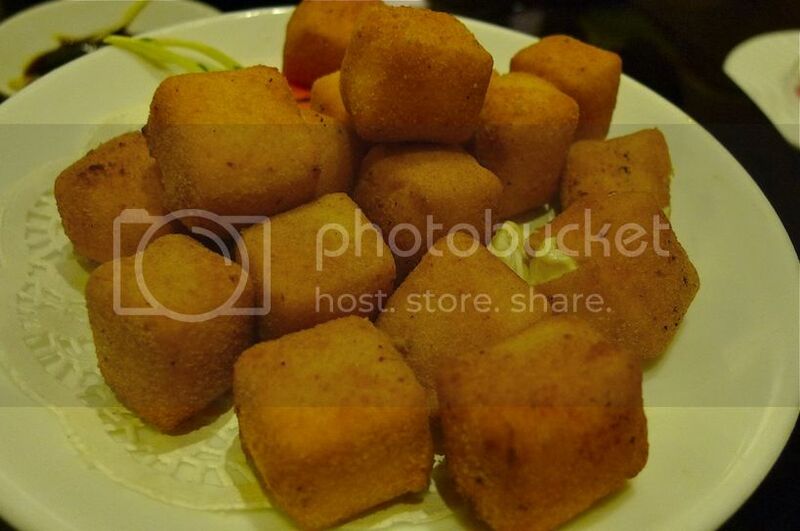 Fried tofu (RM8) - crispy outside but incredibly soft inside. Too bad no sweet sour sauce to dip them in. That would've made it perfect! I also sort of like their tidbits or appetizers while waiting for our meals to arrive. They were in the form of steamed peanuts - sweet and yummy! 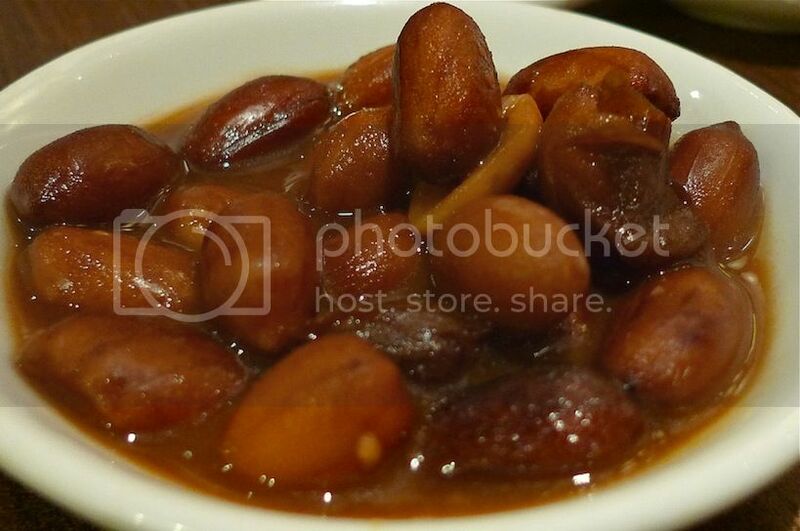 Two small plates of these peanuts (each costs RM2) were automatically given for every table. If you don't like them, you can always tell them you don't want them. And do you know that Dragon-i makes a huge profit from their wet towels? Yes, they charge an exorbitant RM1 for each towel! Please bring your own tissues and return the towels to them, unless you want to contribute to their side business! LOL!